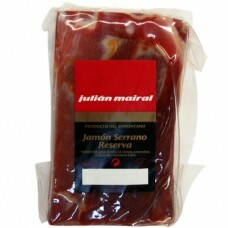 Serrano Ham ‘Reserve’ (Cut) by Julian Mairal, made from the back leg of the highly regarded and acclaimed ‘Duroc’ race. 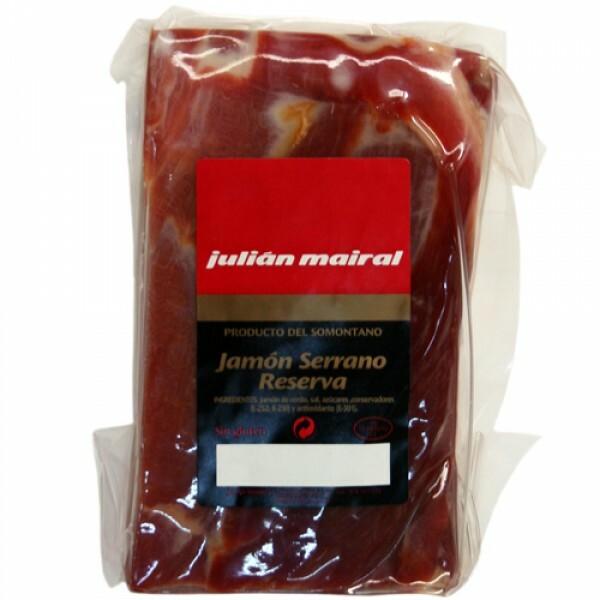 Julian Mairal, a family business founded more than 60 years ago in Barbastro (Spain), selects only the best raw materials to prepare their hams. 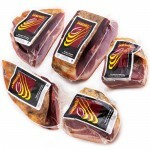 Only thus can they offer top quality products with total food guarantee. Tradition and avant-garde are always present at their modern facilities. 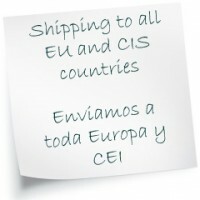 The basis of the product quality is an in-depth knowledge of the raw material and of the transformation processes. Permanent enthusiasm to improve combines with experience and tradition to offer the best products day after day. 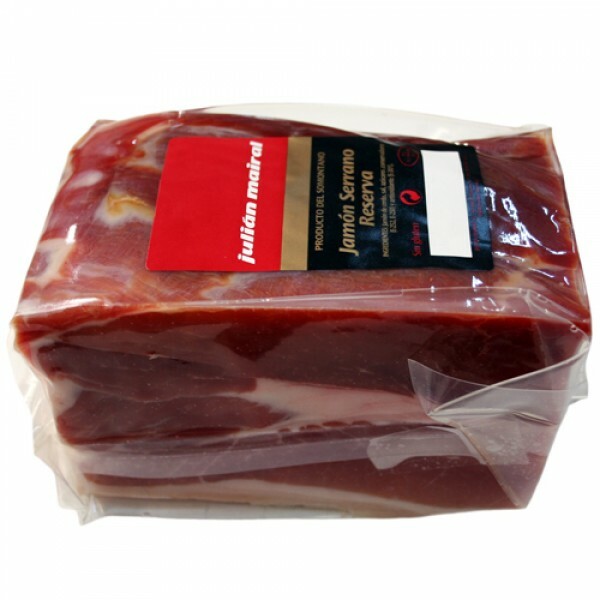 Presentation: Off-the-bone ham, cut into pieces, which are vacuum-packed individually.